Ships tomorrow if you order in the next 20 hours 55 minutes. 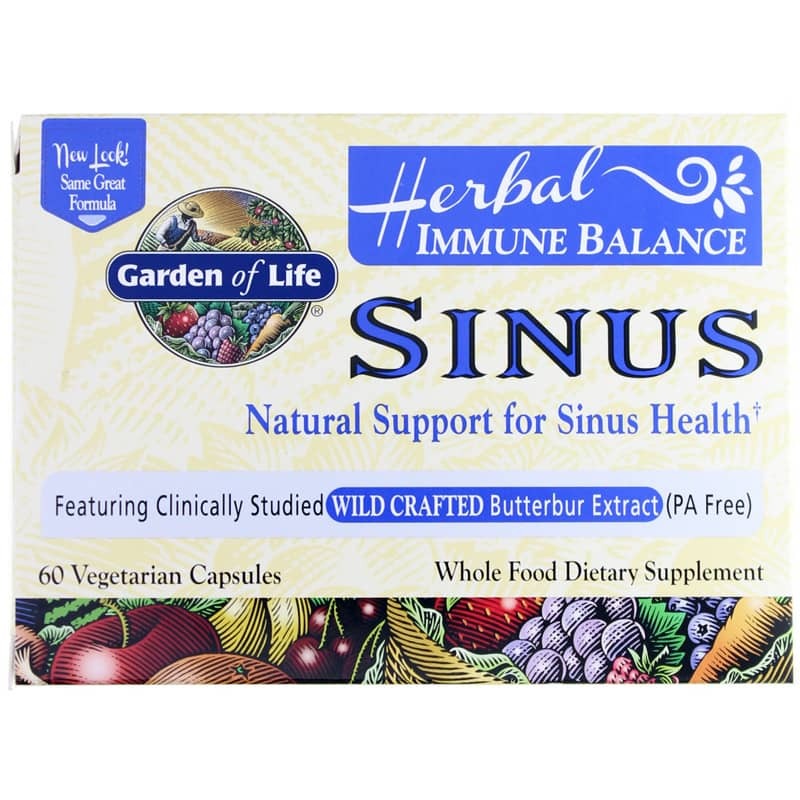 Garden Of Life's Herbal Immune Balance Sinus blends traditional herbals and whole food ingredients to provide natural support for sinus health. 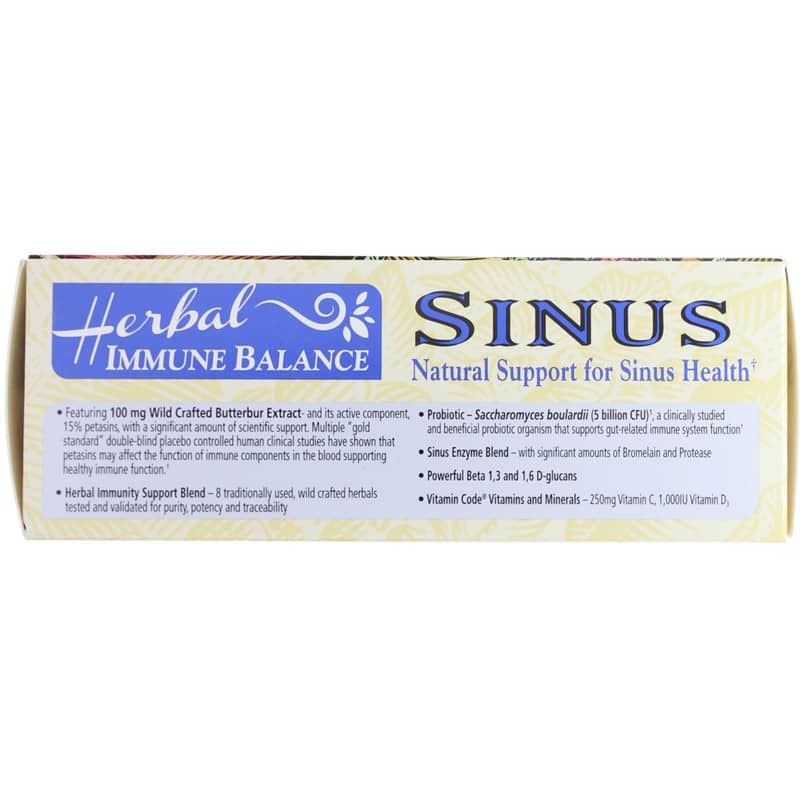 A sinus infection, or sinusitis, may be the result of a virus or a bacteria. And if you have one, you are probably experiencing drainage from your nose, difficulty breathing through your nose, pain around your eyes and nose, and a cough. 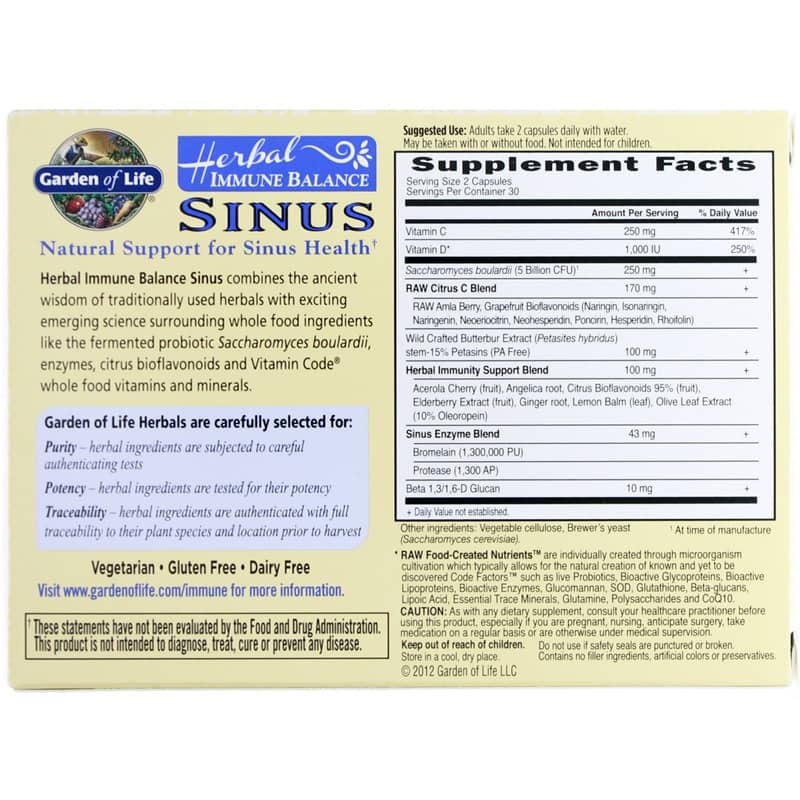 This dietary supplement contains 100 mg of wild crafted butterbur extract, with its active component petasins accounting for 15%. Petasins may relax blood vessels, as well as affecting the performance of immune components in the blood, supporting healthy immune function. To use as a dietary supplement, adults can take two capsules daily with water. This formula is not intended for children. Contains NO: gluten, dairy, filler ingredients, artificial colors or preservatives. Vegetarian. *Vitamin Code Food-Created Nutrients are individually created through microorganism cultivation which typically allows for the natural creation of known and yet to be discovered Code Factors such as live Probiotics, Bioactive Bioactive Enzymes, Glucomannan, SOD, Glutathione, Beta-Glucans, Lipoic Acid, Essential Trace Minerals, Glutamine, Polysaccharides and CoQ10. Adults: Take 2 capsules daily with water. Not intended for children.